Considering a Seal being moved along a Titanium Bar. The Titanium Oxide is removed and rebuilt constantly. The result is a dangerous contamination of the oil by the Piston Rod. Absolutelly inacceptable within the Aviation Industry. Solution made for the client are soft ground Piston Rods made in Titanium. Anodised based on the Anodurit Technology. 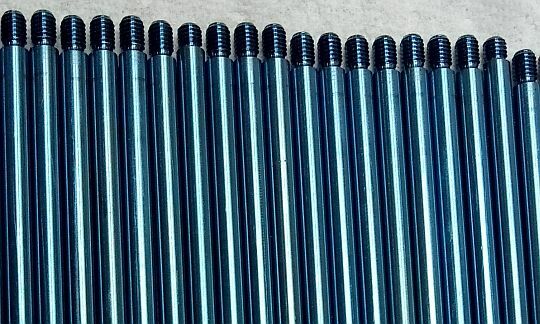 Since Anodurit Technology avoids pickling the thread remains perfect and mechanical properties are not affected.